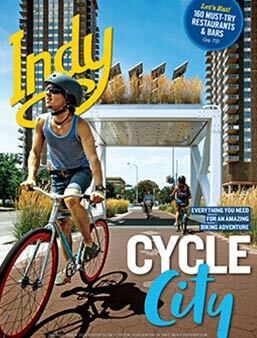 Located in Fishers, Ind., Conner Prairie is a nationally acclaimed history destination. 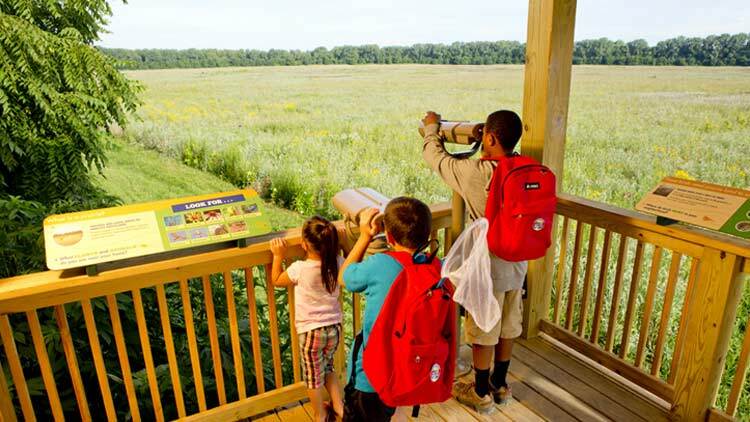 The outdoor museum’s mission is to inspire curiosity and foster learning about Indiana by providing engaging, individualized and unique experiences. 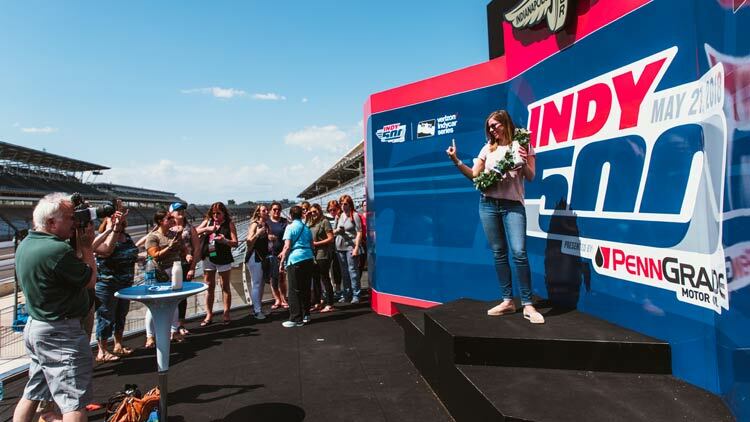 Recently named a Site of Conscience, it is lauded for connecting past struggles to today's human rights movements. 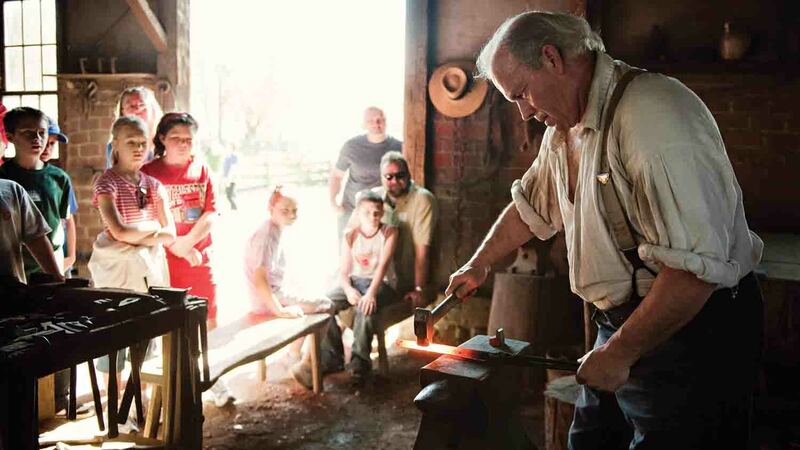 Makesmith Workshop - This new permanent exhibit explores the fundamentals of creating through hands-on activities using textiles, wood, metal, pottery, and more. 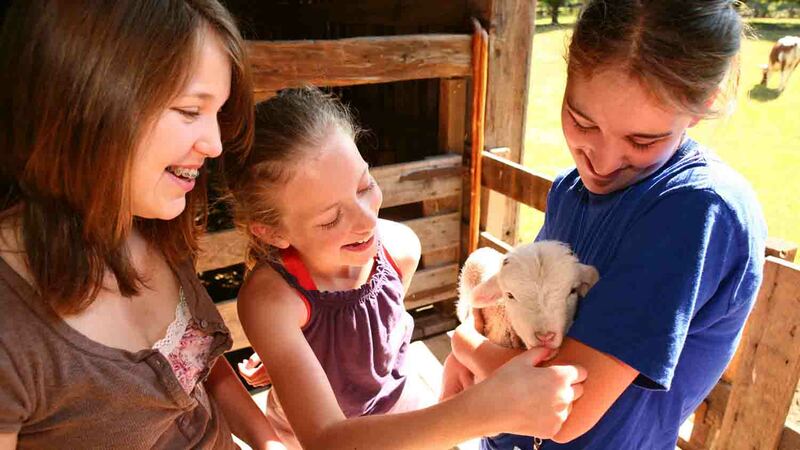 Animal Encounters - Step inside the barn of a real working farm where you can feed, pet, and play with livestock while learning from their caretakers. 1836 Prairietown - Step back in time and join a bustling community where people, animals, objects and daily routines are exactly the same as they were many years ago. 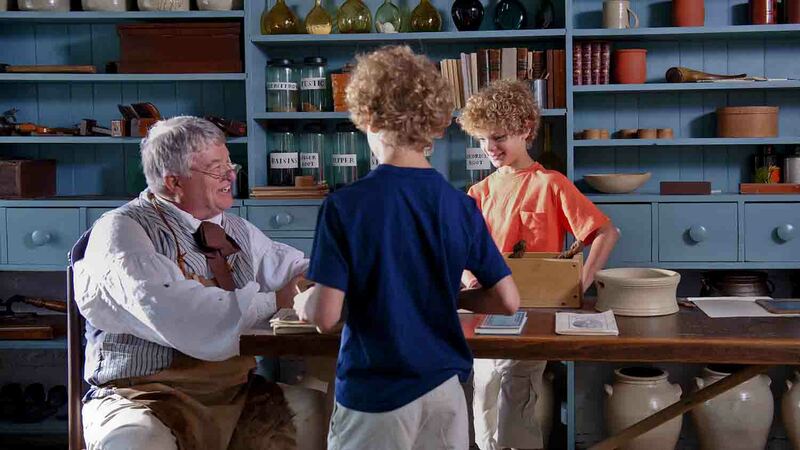 William Conner House - Enter one of Indiana’s first brick homes where you will discover the story of William Conner and how Indiana’s history changed at Conner Prairie. Lenape Indian Camp - Live like a Lenape Indian as you toss a tomahawk, climb inside a wigwam and try your hand at fur trading. 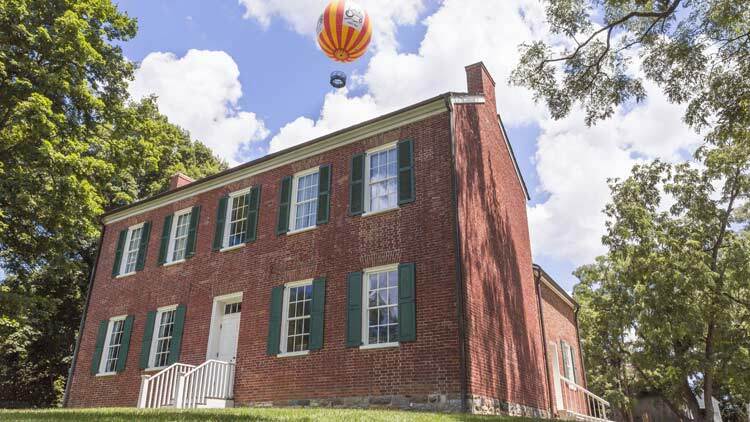 1859 Balloon Voyage - Soar high above Conner Prairie in a helium-filled, tethered balloon and learn how manned flight moved from dream to reality. 1863 Civil War Journey - Immerse yourself in Hoosier life during the Civil War and enlist to help defend the state from Confederate Gen. John Hunt Morgan and his raiders. 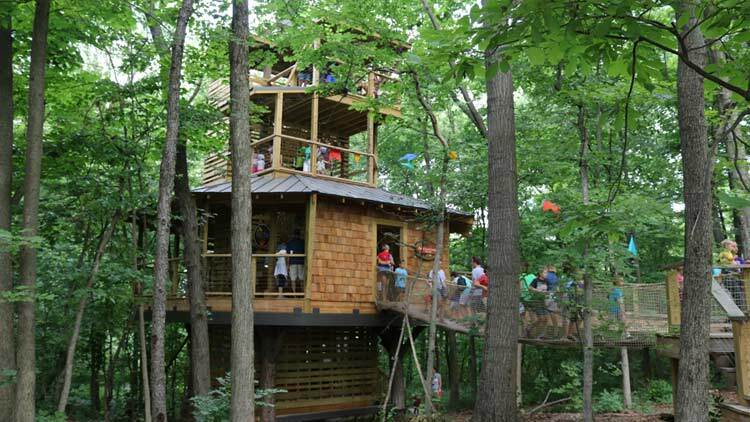 Treetop Outpost - A four-story treehouse will be the centerpiece of this new experience, inviting visitors to climb to the top and take in the view. Connect with nature as you walk along the White River and through scenic woods and prairie terrain. Discovery Station and Craft Corner - Create, climb, explore, play and pretend in a one-of-a-kind play area perfect for children up to age 8 that’s open year-round. Conner Prairie Store - The Conner Prairie Store located inside the Welcome Center offers unique gifts, old-fashioned candy, toys, games, jewelry and more. Indiana's first Smithsonian Institute affiliate, Conner Prairie is accredited by the American Alliance of Museums. March 2-26:Open 10 am-5 pm, Thursday-Sunday. Closed Monday-Wednesday. Closed November 23. Indoor exhibits and play spaces are open. Outdoor grounds closed except during a select number of special events. April 1-30: Open 10am-5 pm, Tuesday-Sunday. 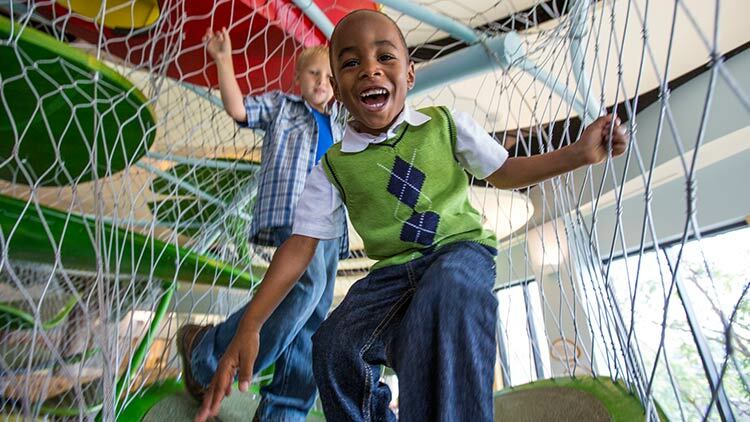 Indoor play spaces, exhibits, and outdoor areas are open. Closed on Easter, April 1. $18, adults; $17, seniors 65 and older; $13, youth 2-12; free, members and youth under 2. 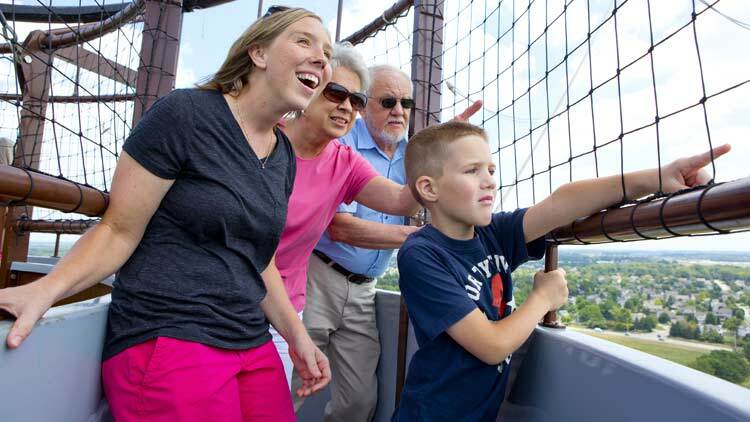 1859 Balloon Voyage: $12, members; $15, non-members. 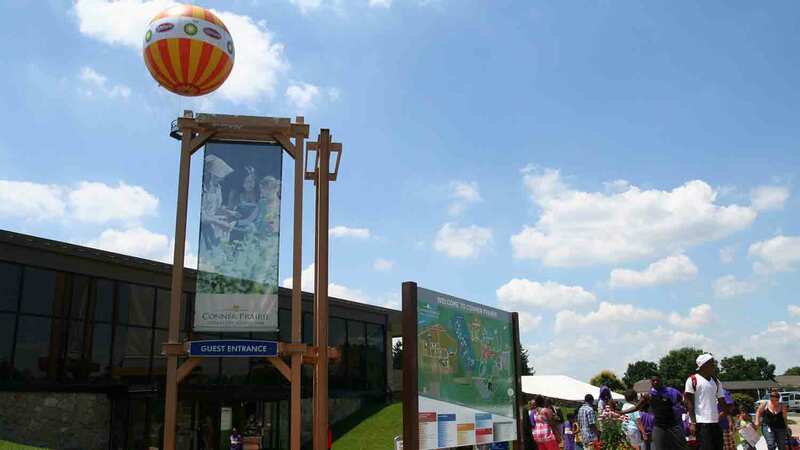 Paid general admission to Conner Prairie is required to ride the 1859 Balloon Voyage attraction. Balloon voyages are weather dependent. Access Pass: Conner Prairie is proud to partner with other central Indiana museums to make family fun available to more area families. Families that participate in Temporary Assistance for Needy Families, food stamps or Hoosier Healthwise Insurance can visit Conner Prairie for just $2 per family member per visit. 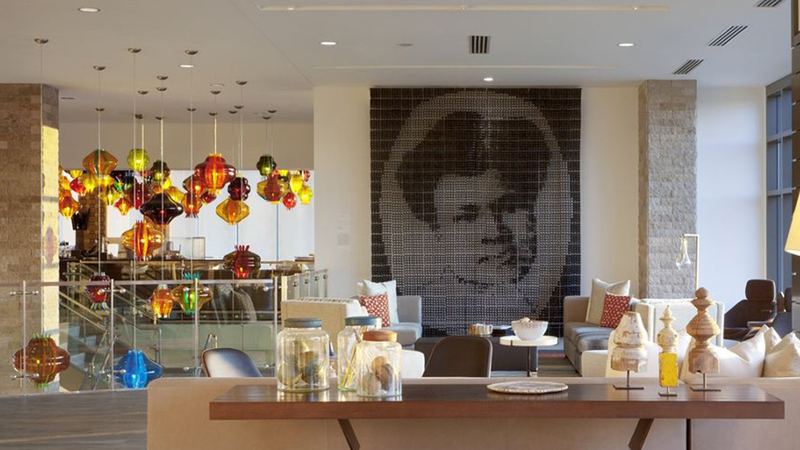 Aides enjoy complimentary admission with employee ID or proof of employment. Military Discount: Conner Prairie is proud to offer admission relief to military members and veterans. 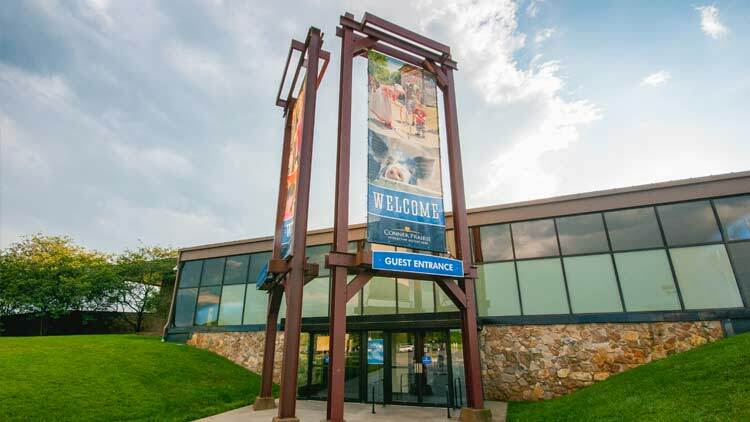 The museum provides free general admission to active duty, retired and veteran military members and 50 percent off general admission for up to five immediate family members. Military ID is required. This discount is valid only for daytime general admission. Conner Prairie is also a Blue Star Museum. Because of this designation, the museum offers free admission to active duty military personnel and up to five immediate family members – spouse and children – from Memorial Day through Labor Day.